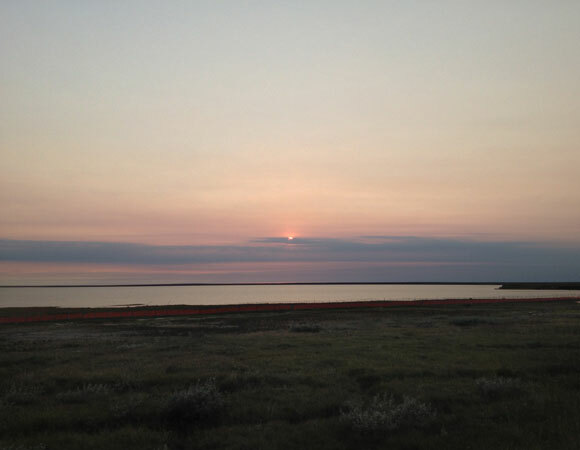 The International Tundra Experiment (ITEX) network has collected data on phenology, plant growth, community composition, and ecosystem properties as part of a greater effort to study environmental Arctic change. 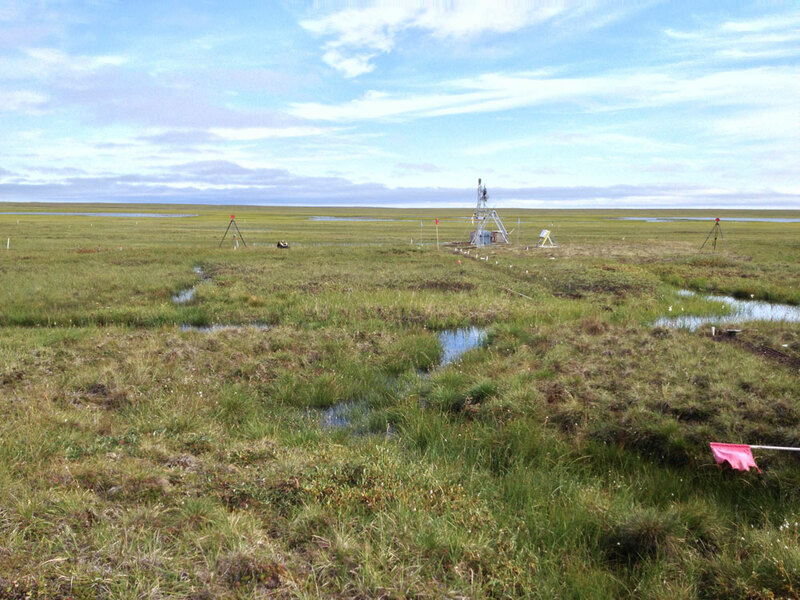 The network has played a key role in advancing knowledge related to the likely impacts of a warmer Arctic through the use of experimentally warmed and control plots across a range of sites and ecosystems that span the major vegetation types of the Arctic. 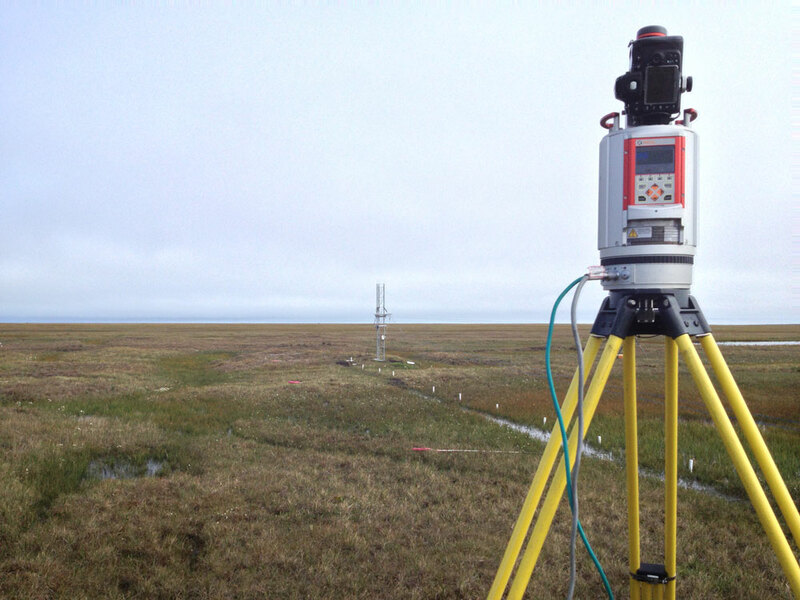 UNAVCO is supporting the ITEX project with terrestrial LiDAR Scanning (TLS) and GPS survey equipment. 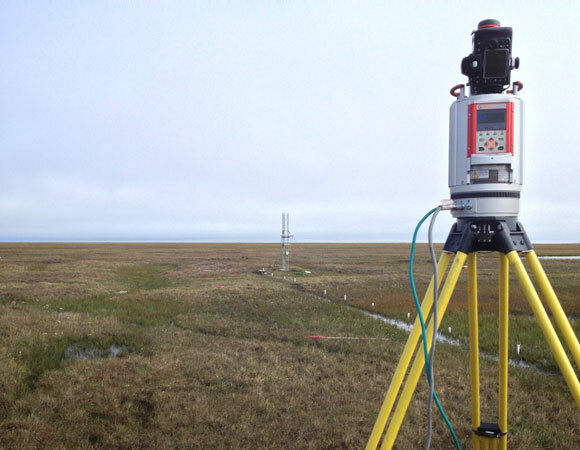 The goal of this project is to maintain the existing ITEX AON in Barrow, AK and increase the applicability of the data collected for the greater scientific community. Historically, most of the ITEX measurements are labor intensive and time consuming, which limit the frequency and spatial extent of sampling. Recent advances in sensor technology promise to allow sampling of surrogates of these manual measurements rapidly and over larger areas. This work continues the ITEX AON observations and initiates a suite of related, non-intrusive measurements using robotic sensor platforms (networked infomechanical systems, NIMS), and TLS surveys. These new data will enable scaling of measurements to the regional level by linking to existing 1-square km sample grids and satellite imagery. 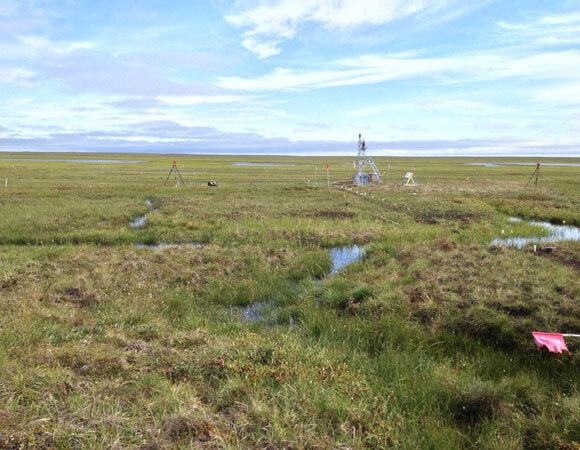 These data are urgently needed to improve our capacity to monitor the impacts of changing tundra vegetation on the Arctic system. This work should improve our understanding of the exchange of carbon and water across the land atmosphere interface and provide information on forage quality for herbivores. 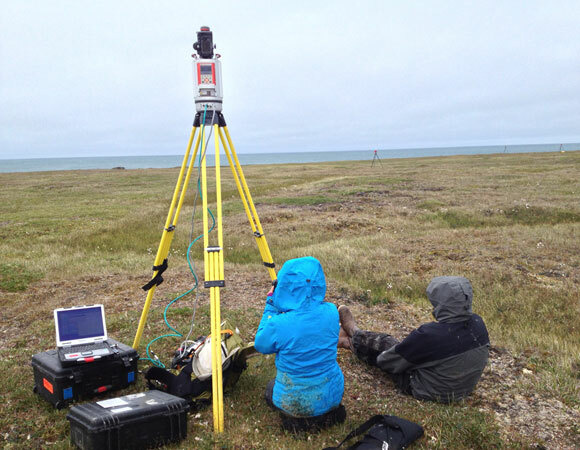 The primary challenges of fieldwork in Barrow are the variable and sometimes severe weather conditions. 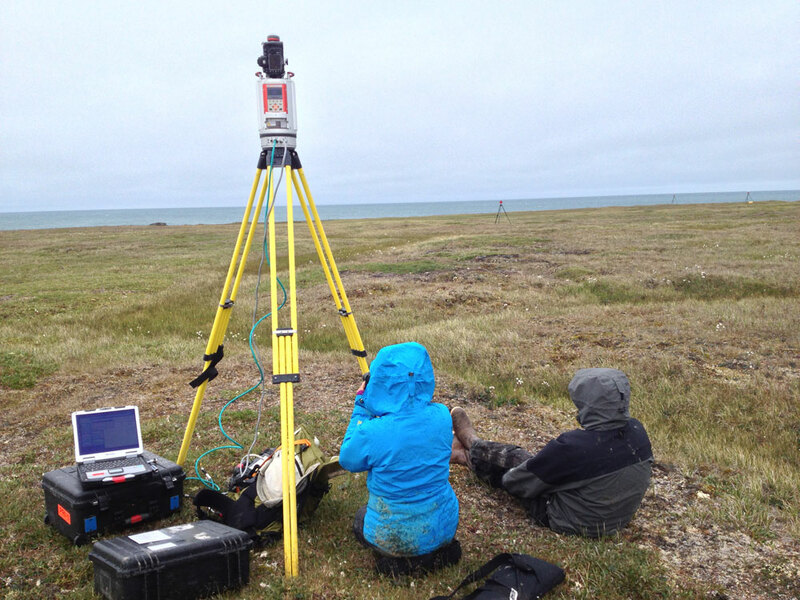 High winds, fog and rain can prevent LiDAR data collection. Therefore, brief periods of acceptable weather were used to full advantage. Often this necessitated working long days into the “night” if needed. 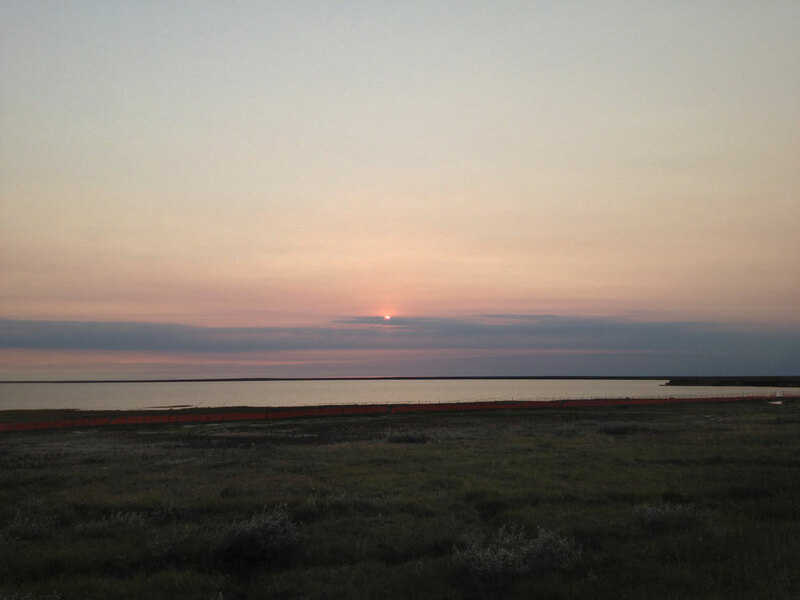 Due to 24-hours of sunlight during the summer field season, fieldwork can continue at all times of day. Even when the weather is nice, immense swarms of mosquitos can provide additional challenge to the field teams. Despite the obnoxious mosquito population, the abundant bird life and occasional caribou and whale sighting make for an enjoyable wildlife experience. And of course, one must always keep a watchful eye for a polar bear!